Yesterday I reviewed the improved offer on the Starwood Preferred Guest® Credit Card from American Express, which now offers 30,000 bonus Starpoints after spending $3,000 in the first three months. So which limited time offer is better? The Starwood Preferred Guest® Credit Card from American Express earns 1+ Starpoint per dollar, which I value at 2.5 cents each. The Citi® Hilton HHonors™ Visa Signature® Card earns 2+ HHonors points per dollar, which I value at 0.4 cents each. Starpoints can be used to book free nights at SPG properties for 2,000 to 35,000 points per night or can be transferred to 30 airlines, and most partners offer a 25% transfer bonus. HHonors points can be used to book free nights at Hilton properties for 5,000 to 95,000 points per night. Multiply the points by your value of the points to figure out which offers you the more valuable sign up bonus. The bonus on the Starwood card is worth $750 after spending $3,000 to me. The sign up bonus on the Hilton card is worth $300 after spending $2,000 to me. Your point values could be vastly different based on how you plan to use the points. If you use Hilton properties exclusively at Category 1 and 2 properties and take advantage of the 5th night free on awards, you could get 1 or even 2 cents of value per point. That would bump the bonus to being more valuable than the SPG bonus. Do the match based on your likely redemptions. After hitting the minimum spending requirement on the Citi® Hilton HHonors™ Visa Signature® Card, it doesn’t offer an attractive proposition to continue spending on the card. Even its 6x category bonus on Hilton stays isn’t as good as putting the same purchase on a Starwood card for 1x according to my point valuations. The Starwood Preferred Guest® Credit Card from American Express, on the other hand, is one of three cards you should consider for non-bonused spending, along with the Arrival Plus and United Club card. The Citi® Hilton HHonors™ Visa Signature® Card offers Hilton Silver status for as long as you hold the card. Silver members get a 15% points bonus on Hilton stays, late checkout, and free access to fitness centers. Plus only folks with Hilton status get the 5th night free on award stays. The Starwood card does not give you automatic status. The cards confer 2 stay credits and 5 night credits toward elite status, leaving you 8 stays or 20 nights short of Gold Status. Gold Status entitles you to free internet and a 4 PM checkout. For most people, the SPG card is better, which is an important lesson in looking past the number of points to the value of those points. However the Hilton card could be better for you if you use it optimally, for Category 1 and 2 Hilton stays. 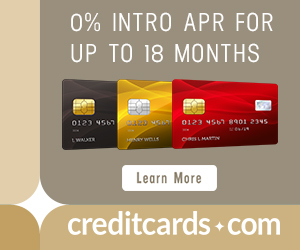 The card offers a strong value proposition for a card with no annual fee ever. The good news is that this is not really an either/or decision. You can get both the Starwood and Hilton cards to rack up both bonuses and to use each type of points in situations that offer maximum value. I would also add that Hilton Gold provides free breakfast which might be valuable for some folks. My wife and I both have Arrival + cards. We got great value the first year, but with the negative changes to the card we are thinking of canceling one of our cards before the annual fee hits. Is it possible to shift points from one persons account to another’s? No, but you can make cancellable travel bookings and redeem against those. Hi, have a silly question I was hoping someone can help with. So I received my Citibank Hilton HHonors Visa. But I do not know what my HHonors account number is. Am I supposed to create an account on HHonors website? Or ask Citi or HHonors for my account details. Call Citi and ask what your Hilton account number is. They automatically created one for you if you didn’t fill in a Hilton number on the credit card application. I wouldn’t discount Hilton so fast. 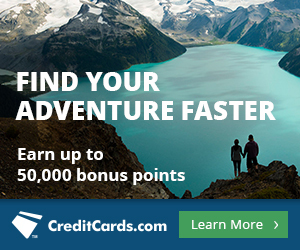 I was loyal to SPG for many years and still tend to favor them, but earing SPG points is a pain. 1x on the card for purchases and 2x for SPG spend. I am SPG Gold (Via Amex Plat) so I get a few more points on stays too. That said, with Hilton card you get 6x on stays, plus you get 3x at supermarkets, gas stations and drug stores and 2x on other purchases. Hilton also gives you a multiplier on the cost of your hotel and you can do the “points and points” option to double up. They also run double promotions on top of that from time to time. And as you go up in levels you get bonuses. I am a gold member, so I get a 25% bonus. As an example, last week I was at the Hilton in Polaris/OH – $199/night room. 2 nights. I earned 14,940 in TWO nights and that does not include the 6x on my Hilton card (400 x 6 = 2400). If I stayed at SPG for $199 I am looking at what, 2,000 SPG points? I got 7x more by staying at Hilton. Point is, an SPG point may be more worthwhile, but in my humble opinion, EARNING Hilton points is much easier and then if you can get them easier, they are easier to spend on redemptions. Once you get that SPG sign up bonus, you really need to stay at SPG’s or charge 1,000’s on the card per month to see a dent in your accumulation.